Looking for an inexpensive but impressive photo gift for someone you love (or even yourself)? Turn your favorite photo into a canvas print! Right now you can get a FREE 8 x 10 Canvas Print from Canvas People. 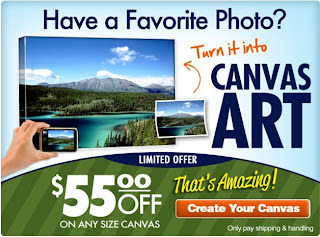 That's a $49.99 Canvas Print for FREE. Or, if you want a larger canvas, you can get $55 off any Canvas Print order. You will need to pay shipping and handling. For our zip code this ended up being $14.95. Disclosure: Affiliate links used. If you place an order through our link you'll help to support A Heart for Home & our family - at no charge to you of course. We like to think of this as a win, win, win situation. Thanks! Any family friendly list can be included. 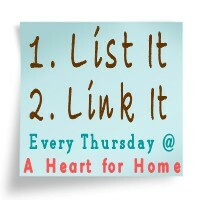 Next Thursday we'll be sharing a list of ideas to help get you started. We hope you'll join in so start planning now. Any list ideas? Please leave a comment to share! I'm sure we'll be able to use all the ideas we can get. 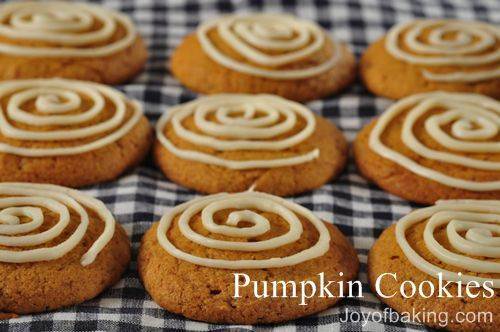 I stumbled upon the Joy of Baking website this afternoon while searching for a recipe for Pumpkin Cookies. 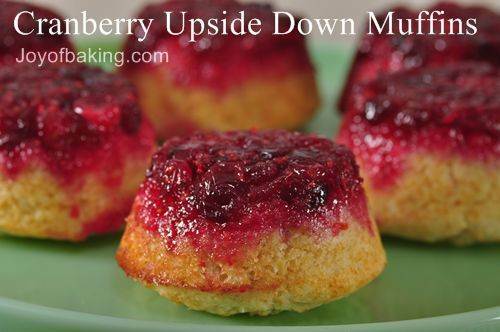 and definitely this one for Cranberry Upside Down Muffins. 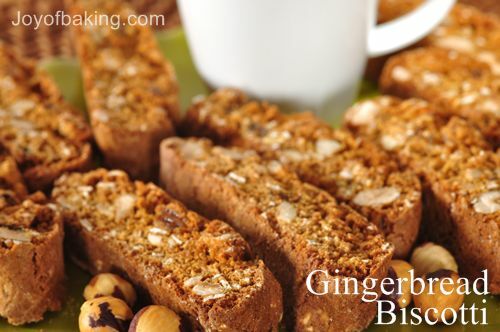 I love the flavors of fall and this website offers so many delicious sounding recipes that along with our Gingerbread Scones I may be stuck in the kitchen for quite some time. Oh, and someday I hope to be able to take such beautiful pictures of food. Yum! 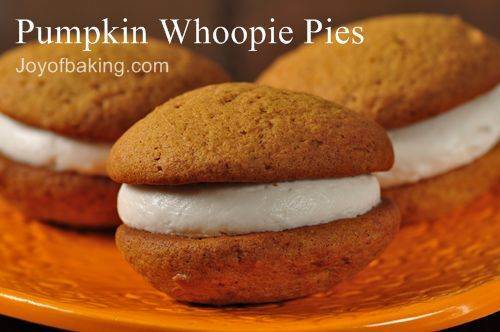 What are your favorite fall tastes and treats? We'd love for you to link to your versions of yummy goodness. Then again, I'm not sure if my body can handle all the goodies. Yesterday we posted a few ideas to help keep your family focused on the meaning of this holiday season. We hope you were able to get at least one idea that you can incorporate into your celebrations this year. Here are a few great resources for ways to focus on the real meaning of the Christmas season. Have you found something that was useful to you as you prepare for this holiday season? Would you please share? Don't forget to join us for our Green & Clean Event starting Monday and running through the entire month of November. You can find more information here and a list of our sponsors here. We'd also appreciate if you'd share our event button located here. If you are just starting the journey towards a more natural lifestyle or if you are already a seasoned pro, you'll still benefit from all of the great information, companies and products that will be shared this month. Remember, we will be hosting at least 20 giveaways during this event and there will also be numerous discount codes to use towards green and clean products for your home and family. What a great time to stock up on natural products or to purchase some green and clean gifts. Are you planning on joining us for the Green & Clean Event? Which sponsor(s) are you looking forward to the most? This Saturday will mark exactly eight weeks until Christmas Day! Since the holiday season is quickly approaching I thought it would be helpful to turn our attention to ways that we can truely focus on the meaning of this time of year and restfully enjoy this season with our families. "What is Christmas? It is not a winter festival. It is not the inevitable annual energy drain. It is not a few holidays to give us a break. It is not a time to fill our children's heads with "visions of sugar plums." Christmas is a season of holy days (the original meaning of "holidays"), filled with rich symbolism. It is a many sided object lesson using the Symbols of the Season to give us glimpses of heaven's glory. 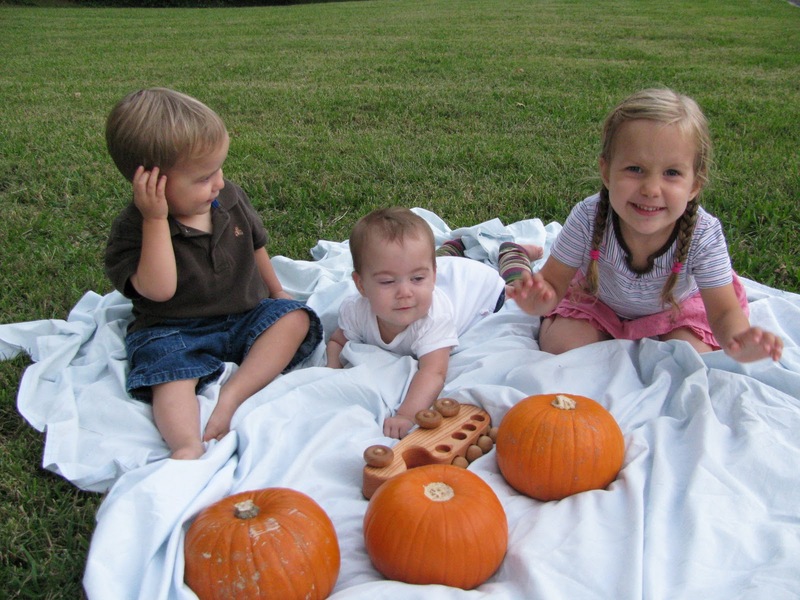 It is a time to fill our children's heads with "visions of God's incomparable Gift." Christmas is profound truth wrapped in plain packages. What are some of these profound truths? Eternity in an infant. Heaven's bridge in a baby. The God-man in a manger. Every man's hope wrapped in homespun handiwork. Enough material for a lifetime of meditation." I'm going to repost some ideas of ways we can intentionally focus our hearts on Christ this holiday season, partly as a reminder to myself and perhaps as inspiration for you. Remember as parents we have the huge responsibility of setting the tone for our children--of how they view Christmas and the incredible gift of God's son. Preparing our hearts and leading their hearts to Christ is definitely a Finer Thing. Here are a few ideas that we'd like to incorporate into our celebration of Christ's birth this year. :: Make a nativity version of an Advent calendar- one new fridge magnet each day during the week leading up to Christmas (a stable, Mary and Joseph, shepherds, sheep, etc.) until Jesus arrives on Christmas day! (We'll make the magnets by attaching a set of nativity stickers to magnetic paper.) While we won't be traveling this year as planned, this activity will still be a simple and inexpensive way we can focus on Christ's birth during the week leading up to Christmas. :: Decorate a small box to collect Christmas cards we receive from family and friends. Choose a different card each morning at breakfast (or dinner, depending on Tim's school schedule) and say a special prayer for that person or family. 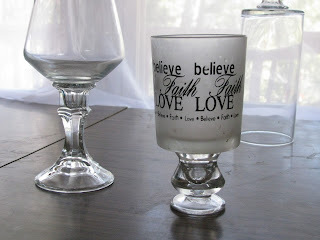 ~ Another way we are planing ahead for Christmas is by getting all of our handmade gifts completed by Thanksgiving. This is a frugal option for our family on many fronts, but probably most importantly is that we will be seeing family at Thanksgiving and will be able to delivery gifts early so that we don't need to pay for shipping. ~Keep an eye out for ideas for homemade gifts that we'll be posting in the next week or so. 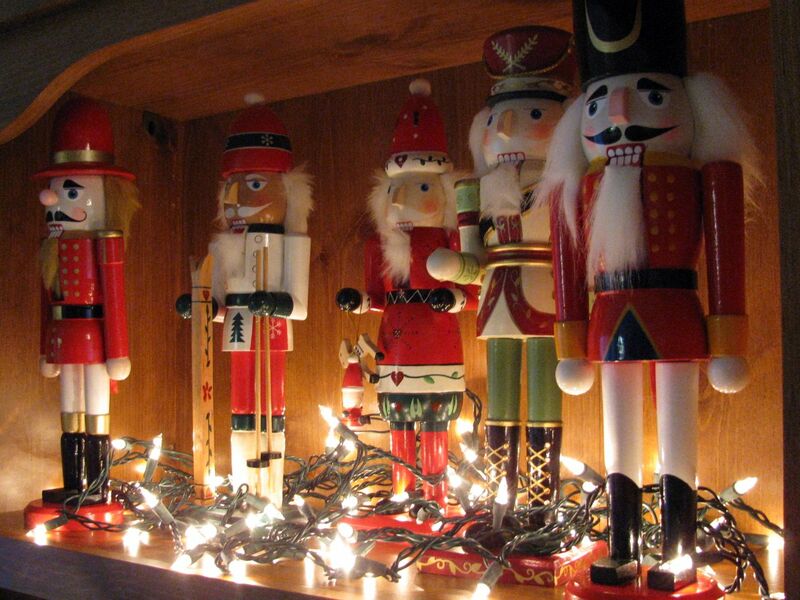 Do you have any ideas for simplifying this holiday season? We'd love your ideas and input. Looking for ways to help make the most of your time? 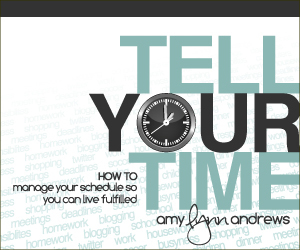 Check out Amy's (from Blogging with Amy) new Tell Your Time E-book and discover her how to tips for managing your schedule so that you can live fulfilled. For the next couple of days you can purchase Amy's Tell Your Time E-book for only $5. So, what are you waiting for? Go buy your downloadable copy of Amy’s ebook for only $5! Just use coupon code YAYFORLAUNCH at checkout to get this deal. The price goes up at 6 p.m. CST, so you’ll want to hurry! Disclosure: By purchasing through the links above you are helping to support A Heart for Home and our family - at no cost to you, of course. It's a win-win situation for all involved. Thanks! 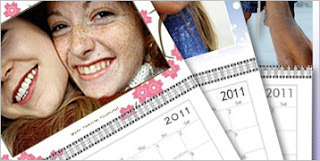 If you're interested in a photo calendar for 2011, then now is the time to head over to VistaPrint and customize a photo calendar for free. You will need to pay shipping costs, but the calendar itself is free. You can even add in text for special days throughout the year. Right now you can order a FREE Photo Wall Calendar, a FREE Photo Collage Wall Calendar, and a FREE Desk Calendar. These also make great gifts, especially for grandparents! Fall is in the air and I'm happy to be baking. With three little ones I don't get to spend hours in the kitchen like I used to love, but as a trade off I now have the sweetest little helpers. Which I sometimes have to remind myself, especially when they're spilling flour on the rug or trying to topple each other off of the counter or chair. Here's a recipe we've been enjoying. Sorry there are no pictures, we ate them too quickly. Besides it's difficult to get a picture of a brown scone that would make it look as appetizing as it really is. It truely is a Finer Thing. This is my own original recipe! 1. Combine dry ingredients (first 7) in a large bowl. 2. Cut in butter. 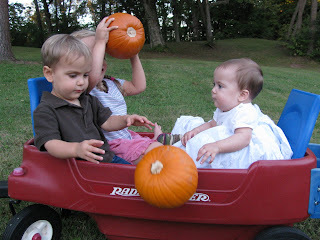 I find it easiest to just use my hands and little hands love helping too. 3. Whisk molasses, milk, egg yolk and remaining egg white in a small bowl until smooth. 4. Stir wet mixture into flour mixture until moistened, do not overmix. 5. Turn dough out onto floured surface and knead gently 6-8 times to incorporate any remaining dry mixture. 6. Pat into an 8 inch circle. 7. Beat reserves 1 Tbsp egg white until frothy and brush over circle of dough. 8. Sprinkle dough with 2 tsp of brown sugar (we use sucanat). 9. Cut into 12 wedges. A large pizza cutter works really well. 10. Bake in a preheated oven at 400 degrees F for about 12-15 minutes. Store in an airtight container in the fridge. Reheat in a 250 degree F oven for about 5 minutes. These are really nice served warm with a steaming cup of tea or chai. The kids love theirs with milk or tea. These scones freeze well and can be reheated directly from the freezer in a 350 degree f oven for approximately 10 minutes. Please, let me know what you think! I also love to know what you've been making this fall. Feel free to leave links to your fall favorites! You’ll find all kinds of new recipes this weekend at Heavenly Homemakers Recipe Parade!! This recipe Works for Me! #223. A sink full of dirty dishes, the remains of a good meal and a sign that our family is well fed. #224. Finally, getting all of the summer clothes sorted and stored away. #225. Having time to sew Christmas gifts for loved ones. #226. Freshly made pumpkin puree, which is finding its way into many recipes. #227. 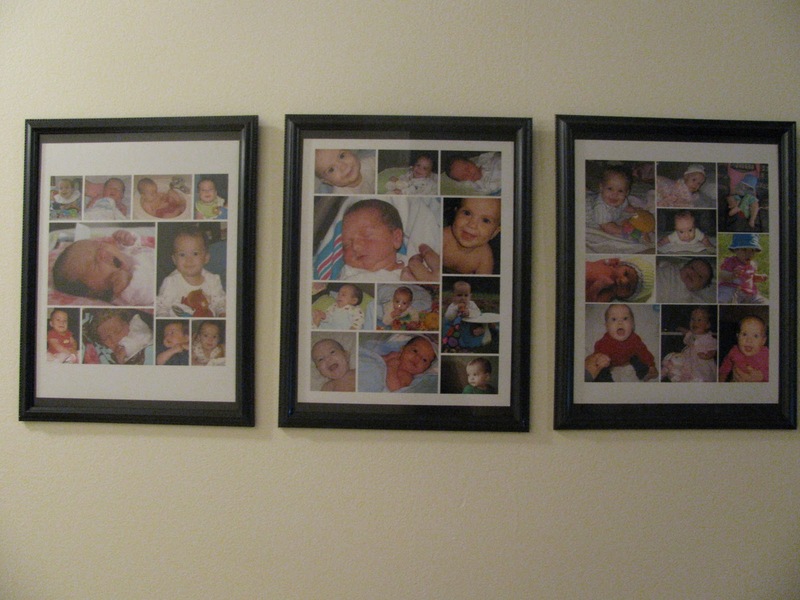 New collage photos of each of our children as babies. I just found Rue La La, the destination for 2-day-only Boutiques, filled with designer items at private sale prices. It's free, fabulous, and invitation-only. Here's your invitation! Right know new customers are receiving a $20 credit when they sign up. Even though most of their prices are high, this credit will make some items a very good deal! Your credit will be emailed to you within one to two days. I'd love to get a pair of these PUMA Mesh Sneakers. With my $20 credit I could get these for only $25 shipped. That's not too bad. Also, Rue La La has a Standard flat shipping rate of $9.95 so any additional item ordered the same day ships for free. 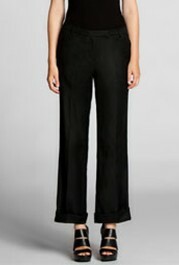 Or, I could get a pair of these Calvin Klein "Madison" Black Rolled Pants for only $8.95 shipped! Now that's a great deal! This could make a great deal for a Christmas gift, especially if you're buying for someone who likes name brands. Sign up now to receive your FREE $20 credit. Adding to Your Childrens' Library? If so check out the wonderful recommendations for Christian Literature for children ages 0-8 that Lindsay added to Passionate Homemaking today. Also, my friend Kristin shared some of her favorite childrens' read alouds and her favorite biblical storybooks and resources as well. We have already purchased a couple of Kristin's recommendations, 365 Read-aloud Bedtime Bible Stories and two copies of My Bible Coloring Book. So far, we are really enjoying them both. We're forwarding both of these lists to family for ideas of what to give our children for Christmas. What are some of your childrens' favorite books? We'd love your suggestions. Emahry recently received a new book from the Dolly Parton's Imagination Library which has quickly become one of her favorites. So much so, that she has memorized pages of the book. Before long I think she'll have the entire book memorized. The witty story and colorful illustrations make this a wonderful read aloud for the entire family. If you'd like to check out sample pages of this book, you can see them here on Amazon . 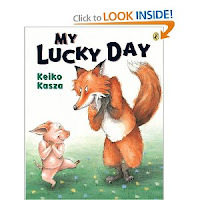 This story has a wonderfully unsuspected twist at the end that our kids love. Here's Emahry reciting one of the pages. Knowing she loves books and "reading" is definitely a Finer Thing. Have you read this story? What did you think? If not, what is one of your children's favorite storybooks? Have you taken advantage of the free items Vistaprint is offering right now? If not, you'll want to hurry before these offers are removed. You will need to pay for shipping. We just ordered a set of 10 flat invitations (made them into Christmas Thank you notes), a set of 10 folded invitations (Christmas Thank you notes again), a return address label rubber stamp, a personalized t-shirt (Christmas gift), a personalized wall calendar (another gift), a personalized tote bag (gift again). We ended up paying an extra $1.99 to get the XXL t-shirt and our shipping was $9.15, so our total was $11.14. Not bad for 3 Christmas gifts and enought thank you notes for the holiday gift giving season, plus the bonus of the return address stamp ( I hate having to write our return address over and over). In total we saved $41.95 so this is a pretty good deal! Right now, you can get all of these items for free, though you do pay shipping. Try to get all of your free items with one order so you're shipping won't be as much. Some of these would make great Christmas gifts. I’ve ordered from Vista Print once before and was please with my order. Make sure you read the fine print and be careful not to add extras that increase the cost. Right now I have the t-shirt, tote, 2 sets of invitations, plus a couple more items in my cart and the slow shipping (21 days) is around $12. We're wrapping up confirming sponsors for our Green and Clean Event. We are so excited to share with you our experiences with some amazing natural and eco-friendly products! We hope you'll join us in November for lots of great reviews, discount codes and giveaways. As of right now we'll be hosting almost 20 giveaways during this event, so make sure you follow our blog, subscribe to our RSS feed or subscribe through Email so that you won't miss a thing. Be sure to check out all the sponsors who have joined so far. Are you planning on visiting during our Green & Clean Event? Which sponsor are you the most excited about? Eliya went to bed at 9 PM tonight. Emahry and Jonathan were long gone before that. Our home was a little on the messy side. Dishes were stacked haphazardly beside the sink, two unfolded piles of clean laundry covered the loveseat and the book and toy remnants of today's play laid scattered on the living room floor. I was weary from a busy day, but oh how I love waking up to a clean home. So, I decided to stay up to remedy the situation. How about you? Do you ever stay up late so that you can have a fresh start the next morning? Do you think it's worth it? During the holidays there seems to be dozens of offers for FREE photo cards. While it's nice to have a set of Christmas photo cards to send to family and friends, you can soon run out of people to send these cards to. Here are a few other ideas to help make these free photo cards more versatile. 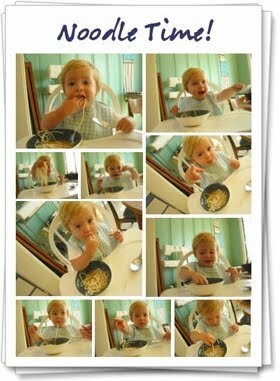 :: Cut photos off of cards and attach to the sticky side of magnetic paper (the type refrigerator business cards are attached to) to make photo fridge magnets for family or friends. 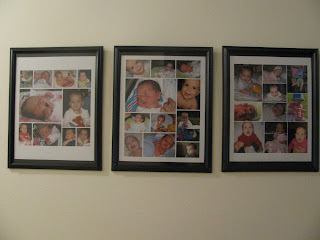 :: Cut photos off of cards and attach to cardstock paper. 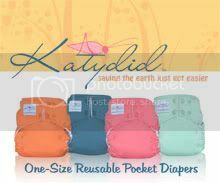 Laminate and attach with ribbon to baby's diaper bag or child's book bag as a nameless ID card. :: Use photo cards as gift tags instead of having to write everyone's name over and over. :: Plan for holidays ahead and take themed photos to use for Valentine's Day cards or Easter cards. Normally the free Christmas offers are on any design, not just Christmas ones. :: Plan ahead and make birthday invitations for the coming year. 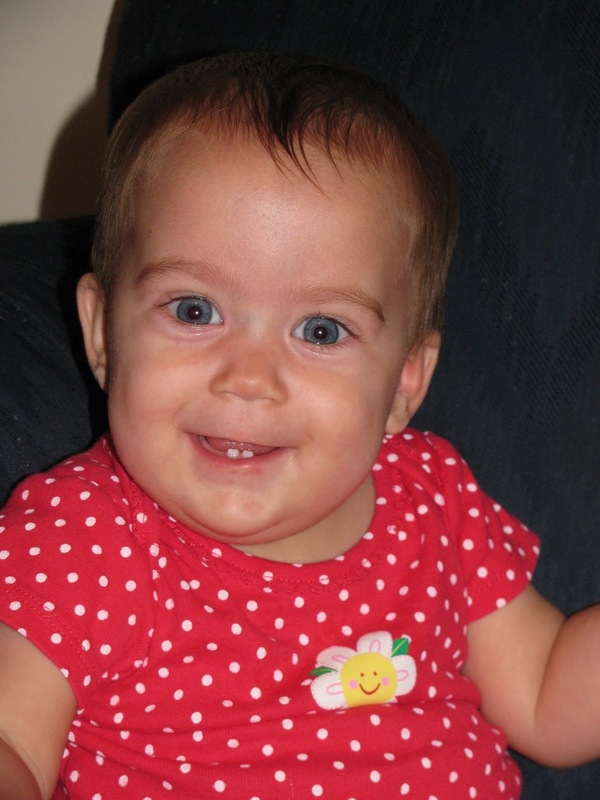 You can even save a clipart picture to your computer and insert that instead of a photo of the child. :: Use saved clip art to make general birthday, thank you, get well soon, or simply everyday cards. Okay, time for my personal favorite. :: Leave the photo cards blank except for the designs. Cover the undesigned space with a typed or written note on cardstock. 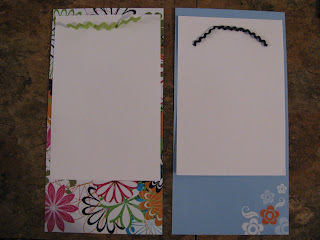 Attach with double sided tape or punch two small holes and thread a ribbon through to hold the paper in place. If you get a lot of these blank cards you could even use them for wedding invitations. Find more useful tips at Works for Me Wednesday and more frugal ideas at Frugal Friday. Do you have any idea on how to take advantage of free photo card offers? Please, leave us a comment. A few days ago we asked for tips for photographing multiple young children. There were a few great comments. Blondee suggested having a few autumn props, like pumpkins and gourds, and staying out of direct sunlight. Kristin reminded me to not stress out over getting everyone to look at me and smile. Kristin's latest photos of her children also encouraged me not to worry about matching the kid's clothing too much as I could always make the finished photos black and white. 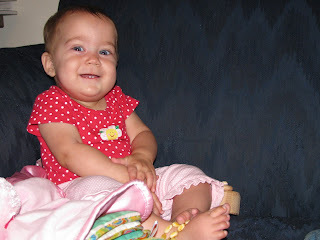 I also dug back in Kristin's archives to a post she wrote on being her own "professional" photographer. 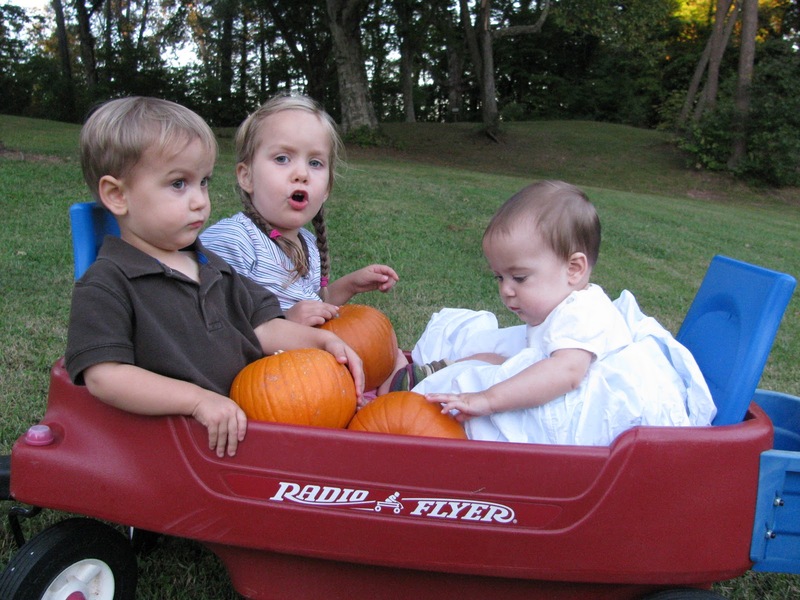 Heartchild suggested loading the kids in a wagon or sitting them at the bottom of a slide. It's Frugal and it Works for Me. While it's not going to win a photo contest any time soon, I think it definitely captures our children how they are right now--and really isn't that the whole point? Remember this age, how they are right now is definitely a Finer Thing. 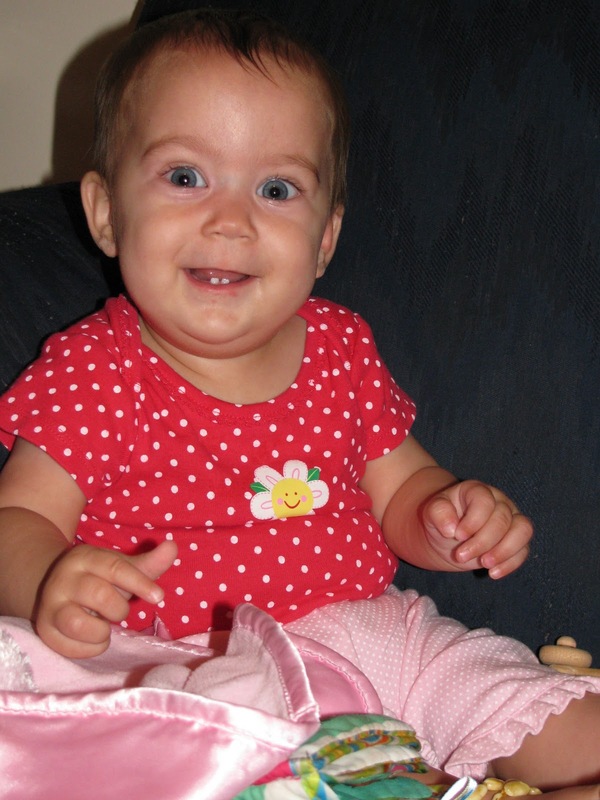 Do you have any more tips for photographing young children? We'd love to try out some of your ideas! Feel free to link to some favorite photos of your children. Hopefully, they'll be able to inspire someone else to save money and take their own children's photos. subscribe to receive free updates through e-mail or our RSS feed. Daily I'm surrounded by wonderful gifts from God, yet many times I choose to see the disappointments instead of the blessings. Today I choose to be a cheerful recipient, a joy finder, a gift counter. #215. Eliya's big blue eyes. #217. A little sister for Emahry & Jonathan. #218. A happy baby to cuddle and love. #219. 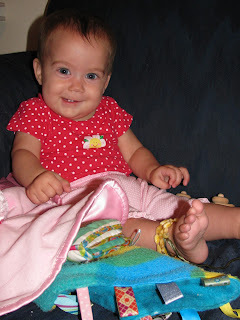 A reminder of God's Love wrapped up in a baby. Ours was born 8 months ago--his over 2000 years. #220. 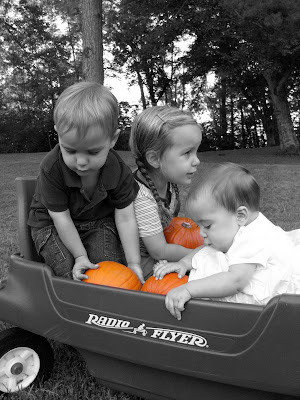 Easy and inexpensive fall decor made with the help of little hands. #221. A timely gift in the mail from Veronica for us to feature in our upcoming Green & Clean Event. #222. Capturing a photo of all three of our blessings. 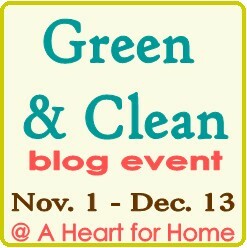 As we prepare for our HUGE Green & Clean Event next month we are reevaluating how we structure giveaway entries. Please, take a couple minutes to fill in the form below and help make our giveaways even better! receive free updates through e-mail or our RSS feed. Lately I've seen lots of beautiful hurricane vases made from inexpensive glass vases and candle holders. Here are some pretty ones made from vases purchased for $3 at Walmart. These beautiful hurricane vases were made out of vases from the Dollar Tree. These varying height hurricane vases were, too! 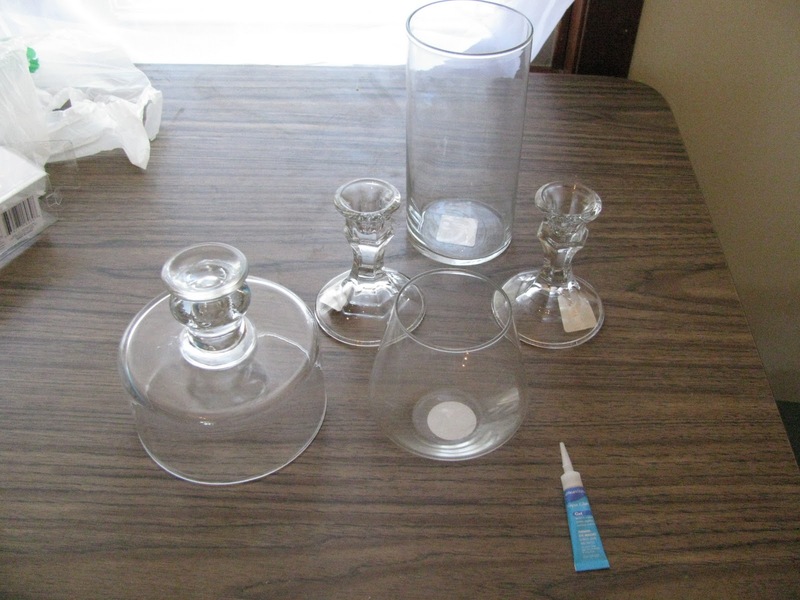 I simply removed the price stickers, covered the top rim of the candle holders with super glue, centered them on the bottom of the vases and pressed the two pieces together. Then I weighed them down for a little while with some books. I made sure they were far enough from each other so if one fell over it wouldn't cause a domino effect. Here's our new hurricane-style vase along with some friends. I decided to get them in different shapes and sizes because I'm a little eclectic and I love groups of three. The little frosted odd ball will find a home in the bathroom. The kids and I will be collecting some fall decor on our walk that we'll use to fill these pretties. I think I might pull out some fall-colored ribbons as well. What do you think? 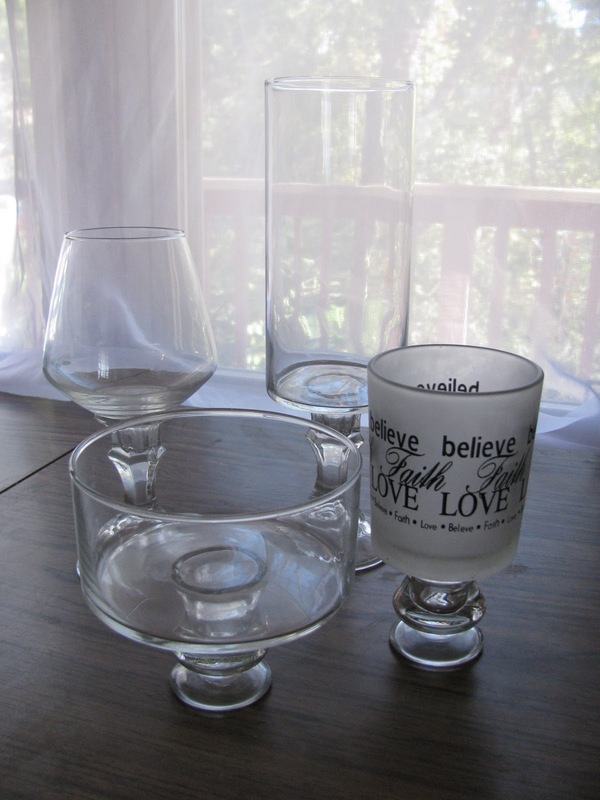 What would you fill these with for fall? Check out more great ideas at Works for Me Wednesday. Any Tips for Photographing Multiple Young Children? Alright, mamas (and anyone else who may read this). 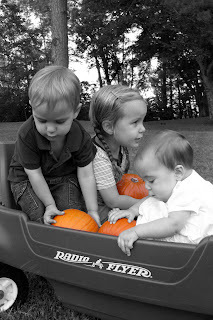 My mission tomorrow is to photograph all three of our children together. That's right, a 3 year old, 2 year old, and 8 month old who is not sitting up on her own. I'm determined to not let some free photo printing credits expire before I use them. As an added bonus, my wonderful husband is out of town, so I will be attempting this feat alone! I'd love any tips, tricks, or suggestions you may have. At this point I'm willing to try pretty much anything, except waiting until they are all older. Stephanie from Keeper of the Home is blogging at Simple Organic today about 5 Simple Home Remedies That Really Work! She has suggestions for a homemade chest rub, after-dinner tummy taming drink, and home-made cough syrup along with many other useful ideas. Also, be sure to visit Stephanie's blog, Keeper of the Home, where she'll be sharing all about Natural Remedies and Illness Prevention throughout October. Have you discovered any natural home remedies that work for your family? We'd love to hear about them! Many days my tasks seam impossible--my schedule is full, my responsiblities are endless, I never have "free time" or a day off. However, a joyful heart can easily turn my attitude around. Just by looking for the small gifts I am able to see my life as a sea with every drop of water a blessing poured out from heaven itself. These days, of little ones underfoot, high demands and limited sleep are the perfect time for my to learn to rely more on the one who made me and knows exactly what I need and what I can handle. These days, he's teaching me to lighten my load by trusting him and finding joy in the blessings that small children bring. 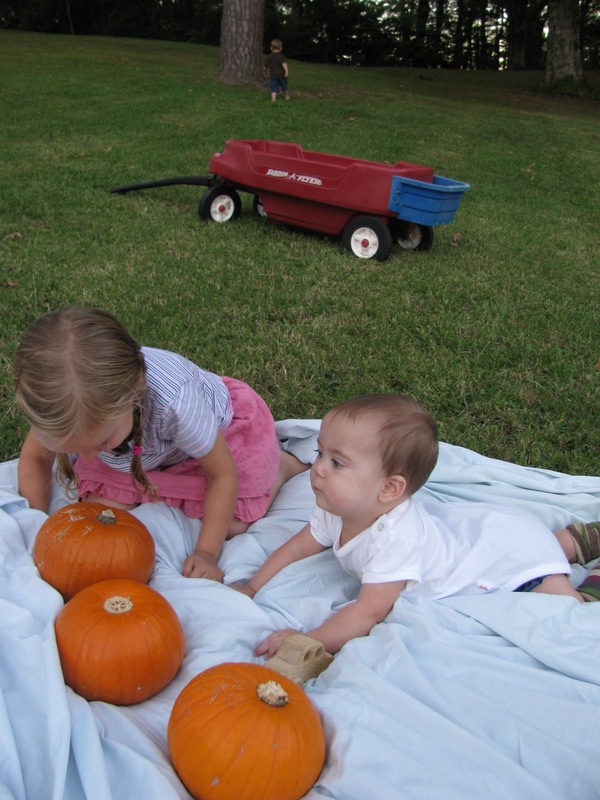 He's reminded me recently that one of the blessing I had taken for granted was the laughter of my children. The laughter of a small child is so pure and infectious. Now I'm trying to stop and join in every time I hear the beautiful sound. There are also plenty of things said by these little voices that can easily bring a smile or a laugh. Who knew a three year old could be so funny. Emahry: Mama,can we play outside. Me: No, honey, it's raining right now. Emahry: Mama, it's not raining too hard, the sky is just leaking a little. Maybe if the leak was stopped, then could we go out? Me: (supressing a giggle) Yes, love, when the leaking stops then we can go out. How is laughter lightening the load in your home today? Be sure to check out the list of confired sponsors for our Green & Clean Event. We are still finalizing details with quite a few sponsors, but so far, the following companies are confirmed participants in our upcoming Green & Clean Event. These companies will be sponsoring reviews and/or giveaways during the month of November. Check back often for an updated list of sponsors in the Green & Clean Sponsors' tab in our linkbar. We'll be adding new links as we receive confirmation from each sponsor. If you would like to sponsor a review and giveaway during this event, feel free to check out more information here. You can also read through our Media Kit for more details about promoting your products through a review & giveaway and information on how to contact us. Walgreens has released a new code for a FREE 8×10 Collage Print valid today only! Use code: FBCOLL and choose in store pick up to avoid shipping fees! These make for great gifts for family and friends. Click here to shop at Walgreens.com.